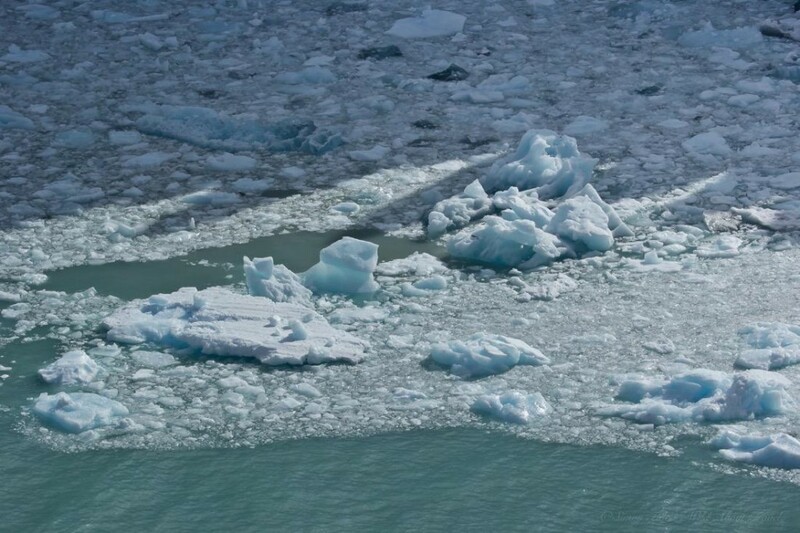 My love affair with ice and the glaciers started a few years ago. I started courting them timidly, from far away, not yet sure how to best approach them. I could feel their majesty, aware of how small I was. I marveled in front of their beauty. I thought that they had been there for millions years, and in comparison my life was like a short whisper. Over time, I got closer and closer to the object of my love. I went skiing underneath the Allalin glacier in Saas-Fee, hiking along the Aletsch in Bettmeralp, flying above the Franz-Joseph glacier in New Zealand. My love grew stronger and deeper. 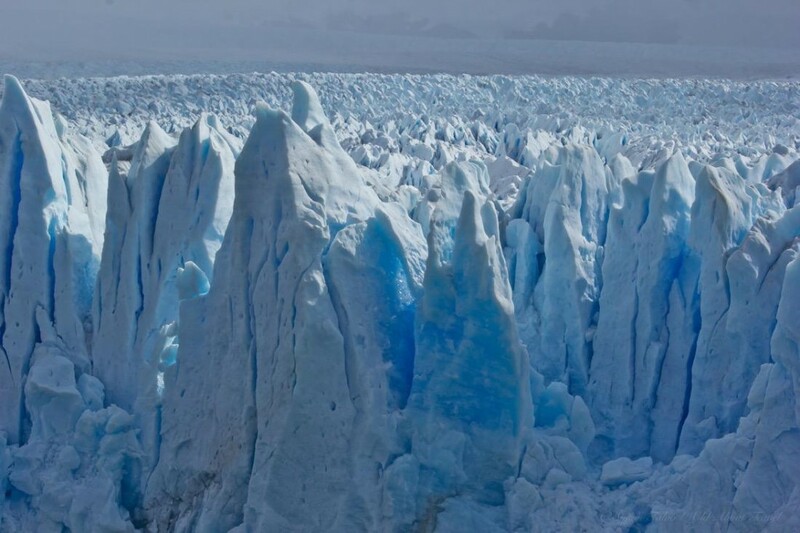 I dreamed of ice more and more, I craved to see Iceland, Greenland, Antarctica and the Perito Moreno in Patagonia. 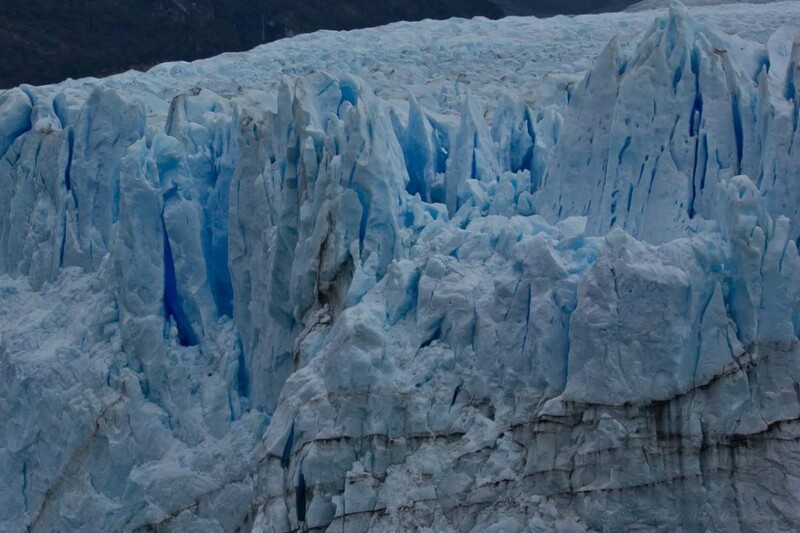 The day came when I was eventually in front of the mighty Perito Moreno glacier, awe-struck and spellbound. A huge tongue of ice, flowing down in the lagoon. A high wall (over 60m above the water level) carved with cracks, the front surface decorated by shades and veining, looking like a piece of the finest marble. And then the blue. Pale and delicate blue, bright and shiny blue, electric blue. The shades I had been dreaming of, as opposed to the mostly white glaciers I had seen in Europe and New Zealand. I was in front of the most beautiful, natural rhapsody in blue. My eyes caressed the colors and shapes, my ears alert to the sound of the glacier, its cracking and rumbling and thundering. In the Alps, the glaciers impressed me by their stillness, where the work of nature for millions of years freezed, transforming them in intricate sculptures. 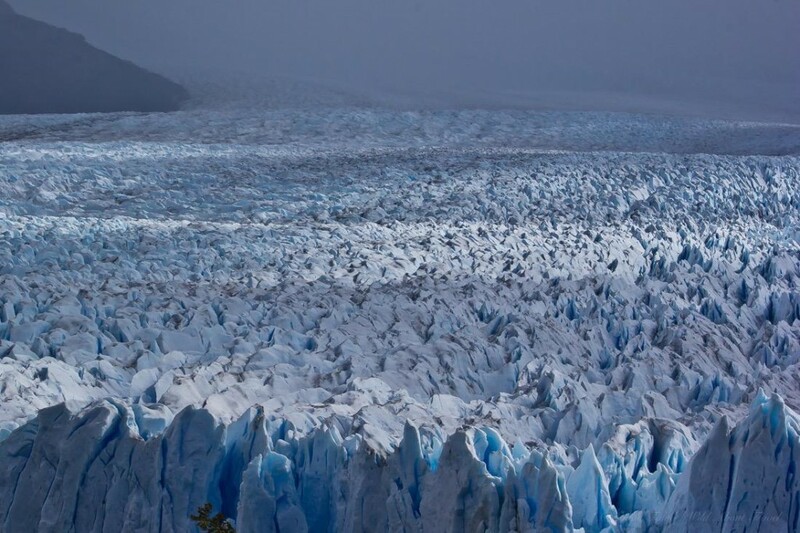 The marvel of the Perito Moreno glacier is in its being alive: growling and crackling as a result of the water pressure. 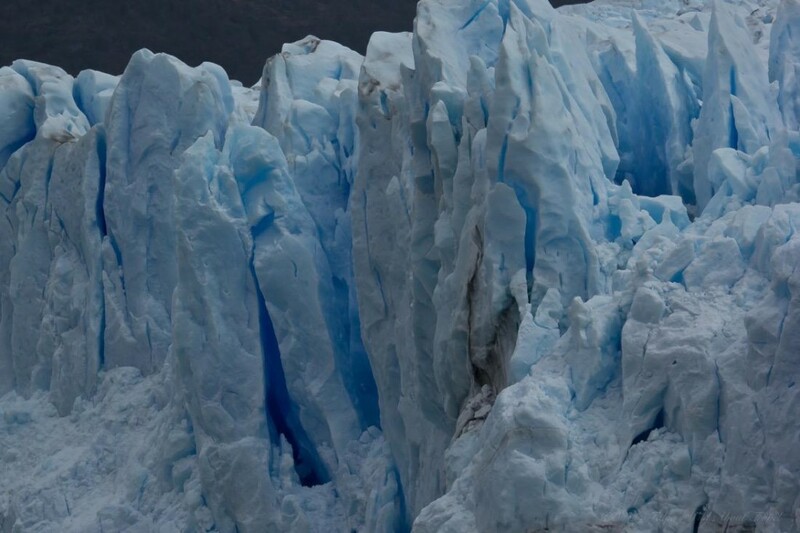 Then, all of a sudden, a roar, as a large chunk of ice breaks away from the wall, vociferously falling in lake Argentino and forming floating little icebergs. 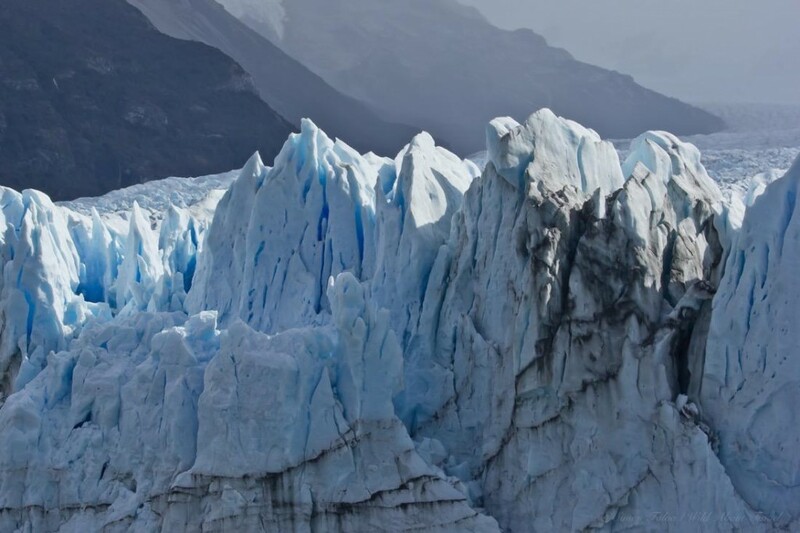 In its unremitting moving, growing and melting, the Perito Moreno is ever-changing and one of the few glaciers not shrinking. As I walked along the catwalk, catching the different perspectives, my eyes gazed upon the sheer beauty of the glacier. A flow of strong emotions sunk in, as the strong wind pushed me back and forward. It’s a place of absolute, where you feel the power of nature in all its force and can only think at how small and finite we are. Getting to the Perito Moreno Glacier: The glacier is 78 km (48 mi) from El Calafate, the nearest town where you’re likely to stay, and less than a 2 hours drive from there. There are many organised tours and there’s no need to do much of a price comparison since they all have the same cost. You can also reach the glacier by yourself by public bus: it leaves twice a day (morning and early afternoon) and allows you stay 4 hours to walk around. 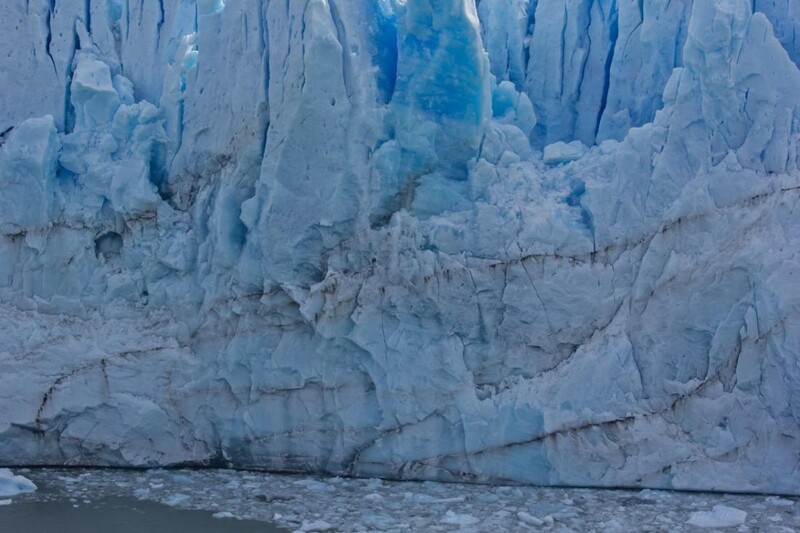 Excursions include boat trips beneath the glacier and ice-trekking. Beating the crowds: The Perito Moreno Glacier is one of the top attractions in Patagonia and therefore packed with tourists. You can partially beat the crowds, though, by taking the early afternoon public bus. Most organised tours leave around 4 p.m. and after that time the place become much quieter. 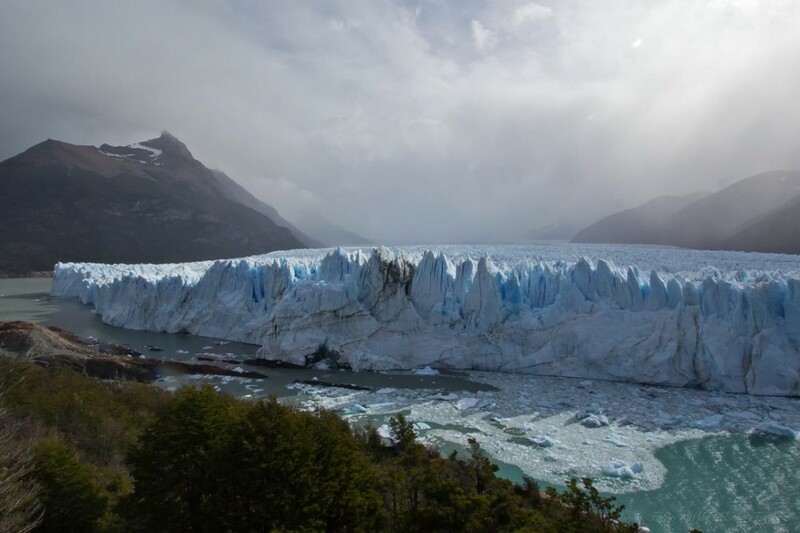 Los Glaciares National Park: The Perito Moreno Glacier is part of Los Glaciares National Park, a UNESCO World Heritage Site since 1981. Lodging: El Calafate has a wide array of hotels, hostels and guesthouses to accommodate any kind of traveler. I stayed at the excellent America del Sur Hostel, with a wonderful view on Lake Argentino and whose staff is incredibly friendly and helpful. Simon, I have yet to go this far south in the Americas. 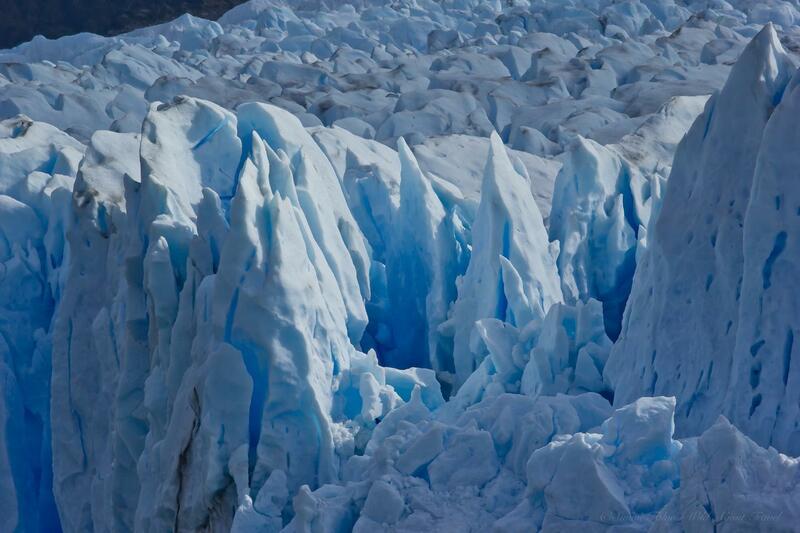 Your glacier photos make me want to jump on a plane. I love the blue!